Essential CVS is a complete and easy-to-follow reference that helps programmers and system administrators apply order to the task of managing large quantities of documents. The book covers basic concepts and usage of CVS, and features a comprehensive reference for CVS commands--including a handy Command Reference Card for quick, on-the-job checks. The book also includes advanced information on all aspects of CVS that involved automation, logging, branching and merging, and "watches". by Per Cederqvist, et al. - Network Theory Ltd. This manual describes how to use CVS, a powerful version control system. CVS tracks changes to source code and documents, allowing previous versions to be recovered at any time. 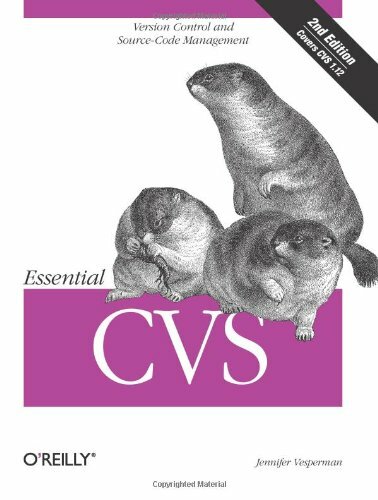 CVS is free software, distributed under the terms of the GNU GPL. The book uses practical examples to explain version control with both centralized and decentralized systems. Topics: Basic version control commands and concepts; Introduction to Distributed Version Control Systems; Advanced branching workflows; etc.